The Vergers Voice: Advent 3, Gaudete Sunday, Joy, Rose/Pink Vestments/Candles, and Penitence: What's it all About Anyway? Advent 3, Gaudete Sunday, Joy, Rose/Pink Vestments/Candles, and Penitence: What's it all About Anyway? When asked about Gaudete Sunday, Duke DuTeil, Training Advisor for the VGEC, replied with this! As we all know, today we celebrate the Third Sunday in Advent. Did you notice that the collect of the day begins with "Stir up your power, O Lord, and with great might come among us..."? Did you know that Advent 3 is often referred to as "Stir up Sunday"? Perhaps your service of Advent 3 began with the introit "Gaudete in Domino semper, iterum dico gaudete" in Latin, translated as "Rejoice in the Lord always; again, I say rejoice!" and is often referred to as "Gaudete Sunday"? Does your advent wreath have blue or purple or white candles? Do you have a pink candle for Advent 3? Do you have a white Christ candle in the middle of the wreath? Does your parish use blue vestments in Advent? Purple? Something else? 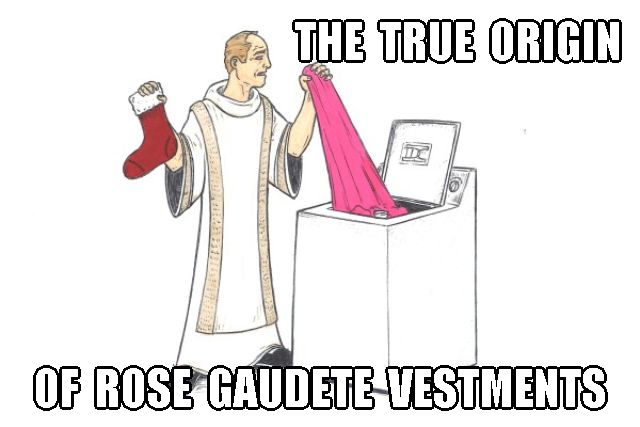 Do you have pink vestments for Advent 3? Does your parish treat the season of Advent as a penitential season similar to Lent? OK, enough of this. We asked several members of the VGEC to chime in on some of these questions and this is the result. Enjoy! Or disagree! But please comment about your own thoughts and experiences in the provided comments section below or on Facebook at facebook.com/vergerguild. First we wanted to point out a few resources that might be helpful to sort out our ideas about Advent if you have time. Some of this is REALLY good. Take a look at the Clergy Confidential post, "What's up with the pink candle in the Advent wreath?" by the Rev. Tim Schenck, Rector of the Episcopal Parish of St. John the Baptist in Hingham, Massachusetts. Of course see our friends over at Wikipedia to see what they have to say about Advent and especially Gaudete Sunday. Trinity Church Wall Street recently posted a video, "Advent Explained" that focuses on the nature of the season. I have been thinking about this for a couple of days and so I offer some thoughts. Of course, you have already looked up the standard sources for "Gaudete' (rejoice) Sunday and so you have the history and reasoning behind this observance in the middle of Advent, which I find pleasant. We don't really consider Advent so much a penitential season any longer in any case. In my role as a priest primarily engaged in pastoral care, I have become aware almost daily lately that many people are not finding joy in this season and are not looking forward to the joy of Christmas. The sister of a friend and parishioner died just this morning in hospice care and her death will overshadow any Christmas celebrations for that family this year, and perhaps in years to come. Another parishioner is in the hospital for 21 day for chemo treatments for leukemia and will spend Christmas there, wondering what the new year will bring. Yesterday I prayed with a family I encountered on a hospital visit, who is losing their husband/son to brain cancer. There will be presents missing under their tree this year. And there are so many others stories of those who mourn, or have addictions, or feel lost, and so on. You have heard those stories too. And yet there is joy. Henri Nouwen wrote that joy and sorrow are never separated. "If we try to avoid sorrow at all costs, we may never taste joy, and if we are suspicious of ecstasy, agony can never reach us either. Joy and sorrow are the parents of our spiritual growth." (Henri Nouwen in Bread for the Journey). Joy, unlike happiness, he wrote elsewhere, is "the experience of knowing that you are unconditionally loved and that nothing -- sickness, failure, emotional distress, oppression, war, or even death -- can take that love away." (Henri Nouwen in The Heart of Henri Nouwen: His Words of Blessing). So, in this season of Advent, we can - we must - all find that joy in knowing we are beloved children of God and that God has sent - is sending - and will send - his Son, Jesus to us to assure us that God is only love and love wins in the end. In the Episcopal Church, the third Sunday of Advent is sometimes called "Gaudete Sunday" or "Rose Sunday." Gaudete is the Latin word for "rejoice," and is the first word in the appointed Introit antiphon for the day, "Rejoice in the Lord always" (Philippians 4:4). Liturgical traditions associated with this day set it apart as a particularly joyful observance among the hopeful expectancy for Jesus' arrival. Rose-colored vestments may be worn instead of the blue or purple garments used during the remainder of the season; these same colors are also reflected in the candles adorning some Advent wreaths. The rose—a flower historically associated with the Virgin Mary in Western Christian art—actually symbolizes Jesus himself in the 16th-century German carol "Lo, how a rose e'er blooming," heard in two different iterations today. Although it isn’t properly listed this way it’s Advent 4 that is sometimes referred to as “Mary Sunday.” I think this is so because the appointed Gospel for years B and C follows the narrative of the Annunciation in B and continues in C with the Visitation-both centered on Mary. In year A we get Matthew’s narrative of the birth of Jesus, more from the point of view of Joseph. Mary’s liturgical color is usually white not rose/pink. Vestments designed for Marian feasts are often adorned with lilies. Rose Sunday or Gaudete Sunday is Advent 3-is also called “stir up Sunday” from the opening of the proper collect of the day. The rose candle in the Advent wreath is lighted on this Sunday. Often flowers adorn the altar area on this Sunday, perhaps pink roses. I maintain (and I know this is a minority position) that unless rose vestments are worn all candles at the Advent wreath should be violet or blue. This day can be celebrated with frequent use of the word “rejoice” in hymns. The gospels appointed continue the John the Baptist narratives. Advent is not a penitential season or a variation on Lent. Although the song of praise, Gloria in excelsis is usually omitted perhaps the Trisagion is more appropriate during Advent rather than the Kyrie. Alleluias are retained. If possible vestments should be not be the same worn during Lent. 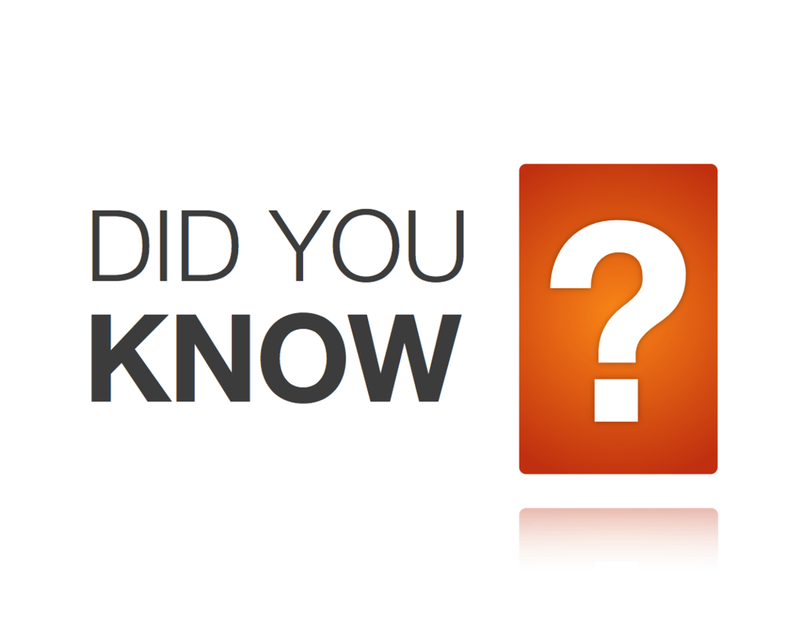 If Lenten array is used during Lent, violet or blue during Advent is fine. However if violet is worn during Lent, blue during Advent adds a specialness to this unique season. Advent is a season of preparation for and expectation of the coming of the messiah both in the sense of his humble birth and his second coming in triumph as redeemer and judge. The hymns and appointed lessons for Advent emphasize the latter themes and serve less so as a prelude to Christmas. My thoughts? First, a long quote from An Episcopal Dictionary of the Church: A User-Friendly Reference for Episcopalians, Don S. Armentrout, Robert Boak Slocum, editors (2000, Church Publishing, Inc.). Gaudete Sunday. The third Sunday of Advent in the Roman Catholic calendar of the church year. The term is derived from the Latin opening words of the introit antiphon, “Rejoice (Gaudete) in the Lord always.” The theme of the day expresses the joy of anticipation at the approach of Christmas celebration. This theme reflects a lightening of the tone of the traditional Advent observance. It was appropriate for the celebrant of the Mass to wear rose-colored vestments on this day instead of the deeper violet vestment that were typically used in Advent. This Sunday was also known as “Rose Sunday.” This custom is not required in the Episcopal Church, but it is observed by some parishes with a traditional Anglo-catholic piety. This custom is reflected by the practice of including a pink or rose-colored candle among the four candles of an Advent wreath. Do we stand or kneel for Communion? At St. Mark’s Capitol Hill, we stand. Do we use all white candles in our Advent wreath? The Washington National Cathedral uses all white. Does the priest wear violet vestments for Advent or the newer trendy Sarum Blue? Is Advent a penitential season at our church, or is it more a season of waiting, preparation, expectation? One could go on. Needless to say, tradition plays a huge role in our parish church life. This makes it interesting for the verger, who often asks the question, “What is the correct way…?” Or, perhaps more challenging, attempts to answer that question. A quick internet search does turn up some references to the third Sunday in Advent as Mary Sunday, but it is somewhat obscure and definitely does not seem to be part of the Episcopal/Anglican tradition. 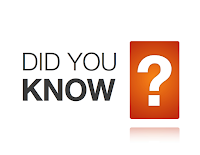 But, as mentioned above, some Episcopal parish churches may have had rectors that felt it fitting to celebrate the third Sunday as Mary Sunday, and Voila! That practice becomes part of the liturgical practice for Advent. Gaudete: a poem by Brad Reynolds, S.J. 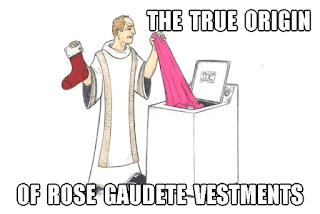 Because inside baby clothes are miracles: Gaudete! Because Santa Claus is coming: Gaudete! Because the blind see and the lame walk: Gaudete! Because lepers are clean and the deaf hear: Gaudete! Because there is good news for the poor: Gaudete! In Sarum use, the liturgical color blue distinguishes Advent as its own season of expectation, complete with Alleluias. In the Parson's Handbook, Percy Dearmer cautions, "...the tendency at the present day to make another Lent of Advent is much to be depreciated." In Roman usage the third Sunday of Advent is named "Gaudete" for the first word of the Introit from Philippians which became a parallel to Laetare, the refreshment inning in Lent's penitential rigors. In our post-Vatican II lectionary, however, the focus remains on John the Baptist for a second Sunday. Perhaps a little dab of pink could cheer old timers without changing the tone too much. Abstract: Today we celebrate the Third Sunday in Advent which is also known as "Gaudete Sunday" or "Stir up Sunday." What's up with that? We try to make a little sense out of all of this with a little humor thrown in for good measure. Please leave comments on this blog here in the Vergers Voice or at facebook.com/vergerguild.